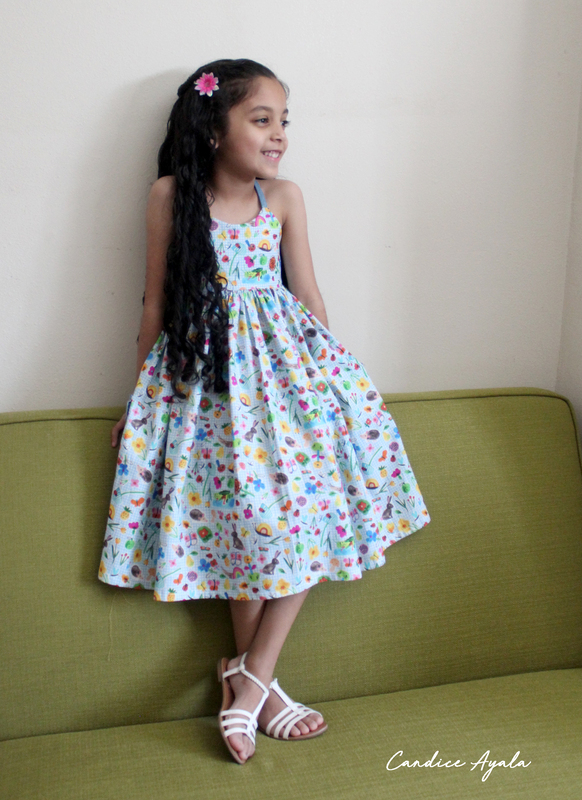 Made the cutest Easter Dress for Abigail this year, and I thought I’d share a small review with you. 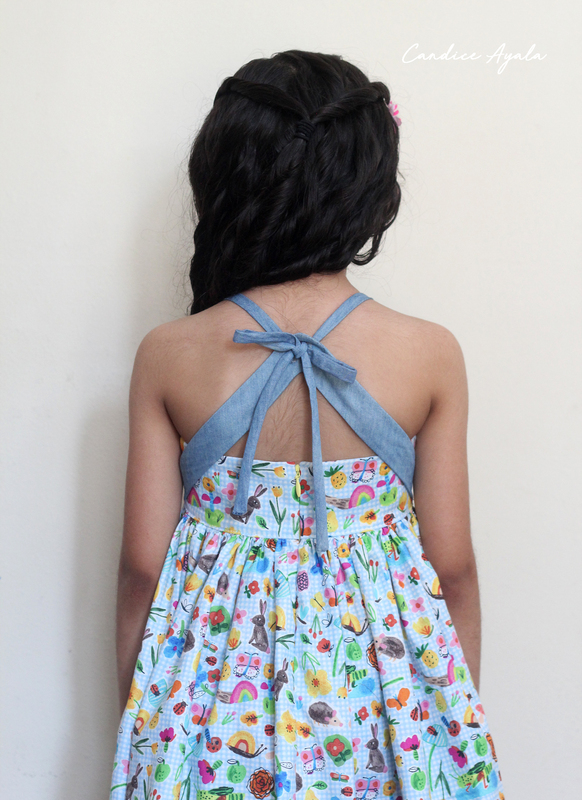 I used the bottom half of the shirt, and some of the back to create the skirt but I kept what was left because I was sure I could still use the remaining elements in a future upcycle. 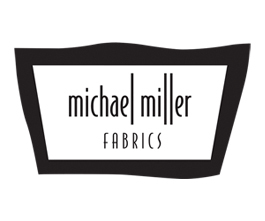 I’m so glad I did because they came in so handy for this new sew. 1. 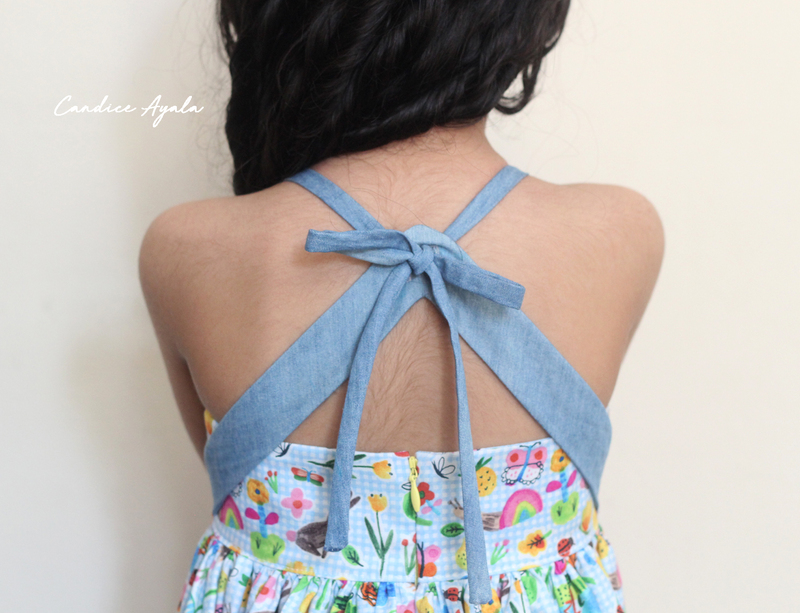 Took fabric from the sleeves to create the straps and the back “arrow”. 2. 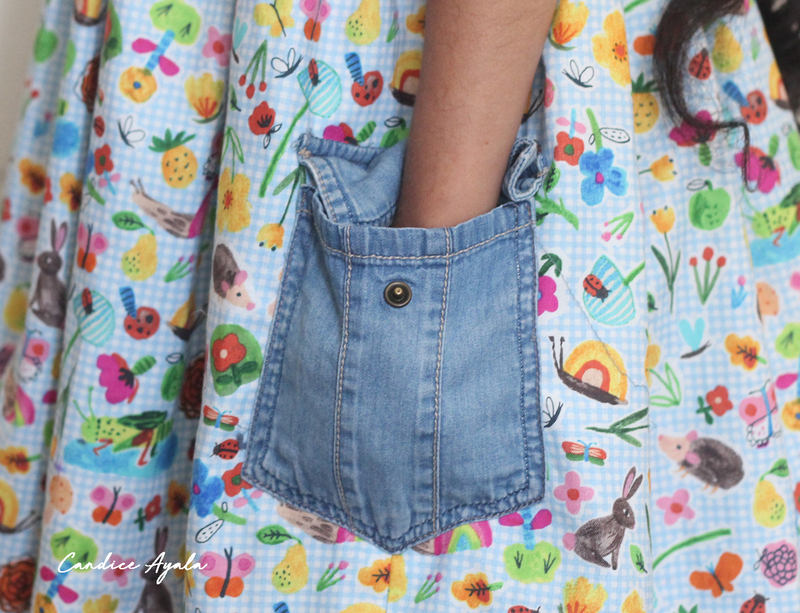 Re-purposed the pockets and pocket flaps from the original shirt to use as side pockets on the dress. And instead of putting the pockets on the front, I centered them on the side seams so they were more like side pockets. Now for the information you’re really here for! Let’s talk about the pattern! Callie is every little girls dream dress. Starting with the beautiful and unique “arrow” back and tie straps that wont slip down. The back buttons (or snaps) closed. Choose from top, dress or maxi lengths. The skirts and be “simple” or you can do the hemband version or even a ruffle version for a wide variety of looks. 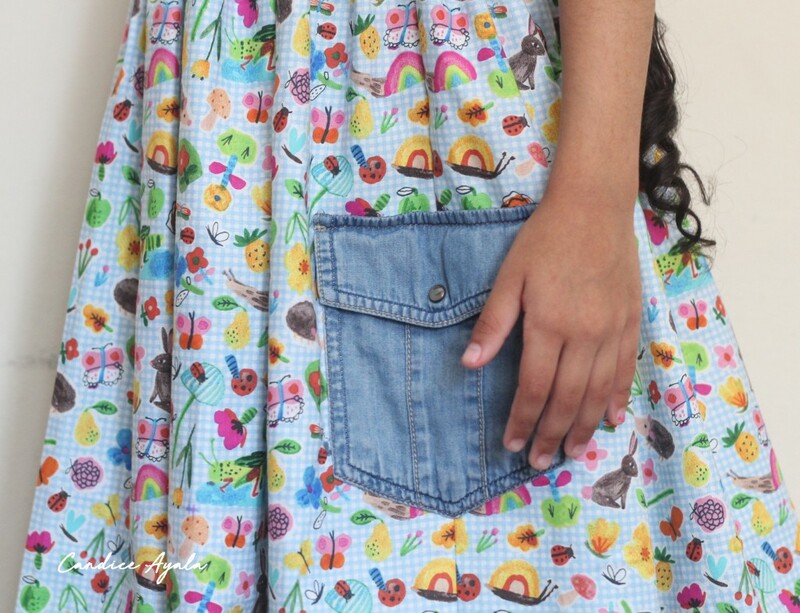 You can also add the adorable square pockets. – cited from website. 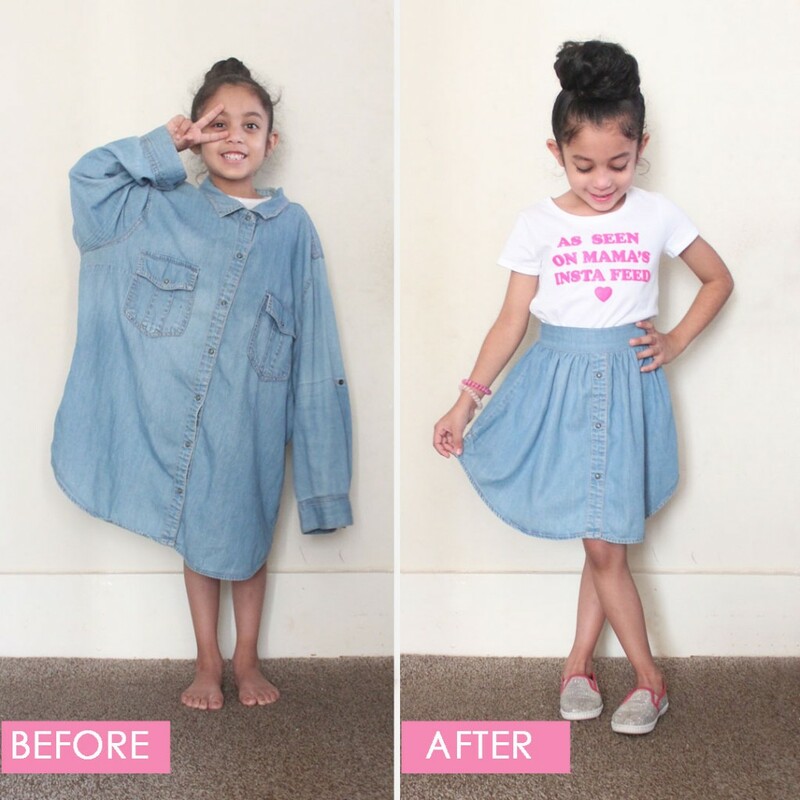 Pattern Sizing: Sizes 2T to 12 yrs. I made a size 4 determined from her chest measurement, and measured the skirt piece to hit right below her knee. 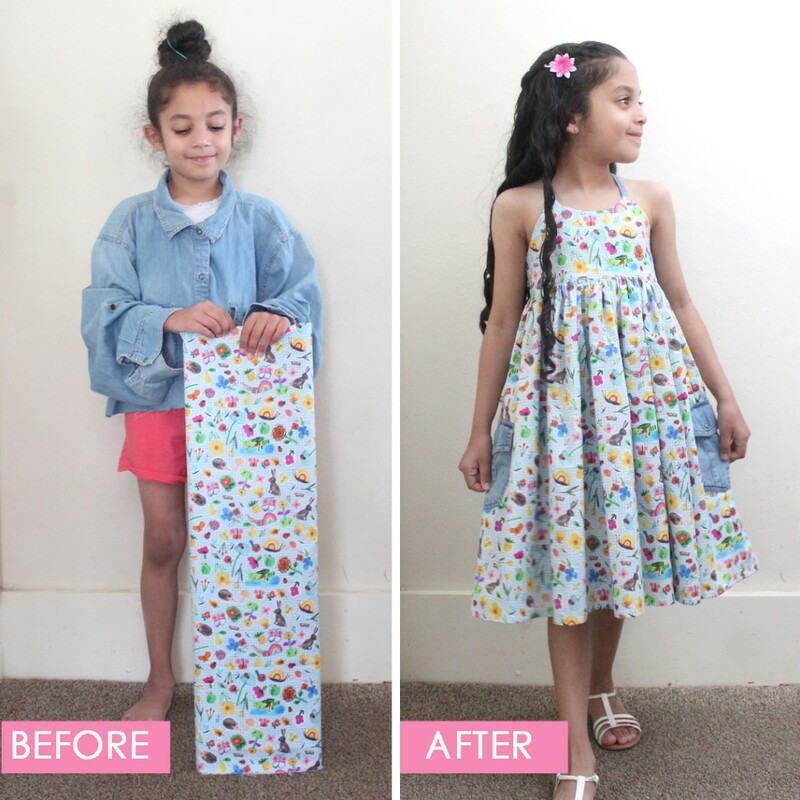 Did it look like the photo/drawing on the pattern once you were done sewing it? YES. Pattern alterations or any design changes you made: Instead of button or snap closures I used an invisible zipper. 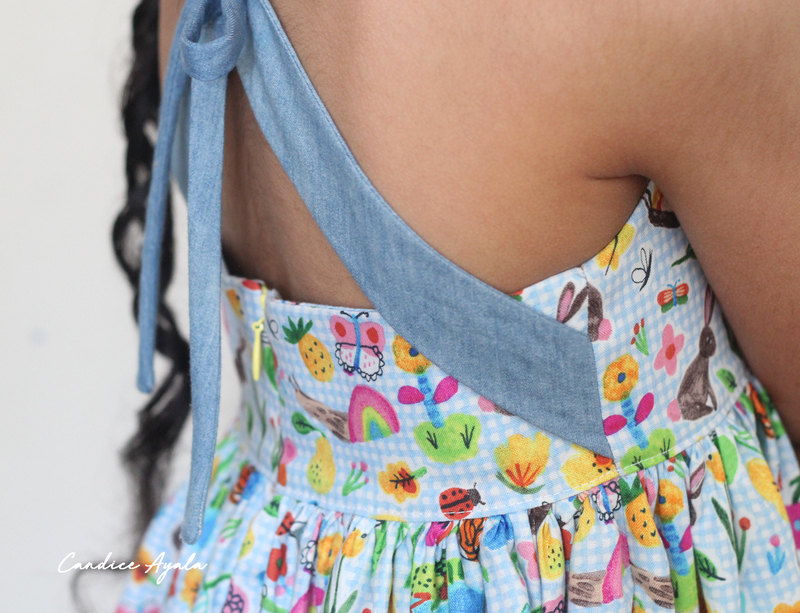 The bodice is meant to be close fitting, so if you decide on doing this, I strongly suggest that you cut the pattern as it is originally, and then do a fitting to determine how much you need to cut off from the back pieces for a more precise fit. What’s your favorite thing about the pattern? The unique arrow back design! 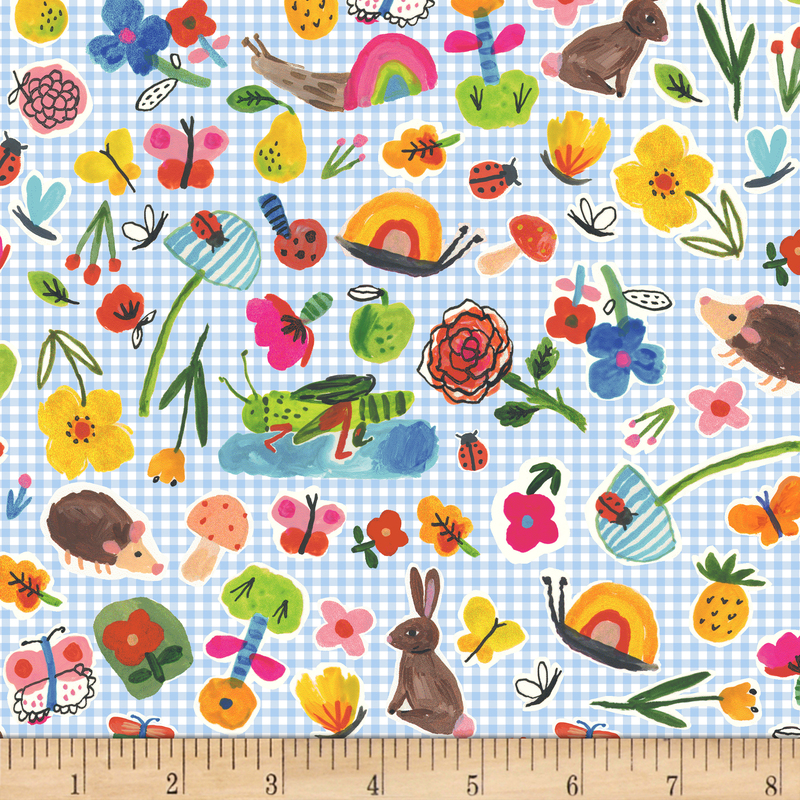 Fabric Used: BFFS Little Critters Blue Fabric by Carolyn Gavin – if you like cats, ladybugs and picnic scenes you might wanna check out this collection. Where can I find this pattern? 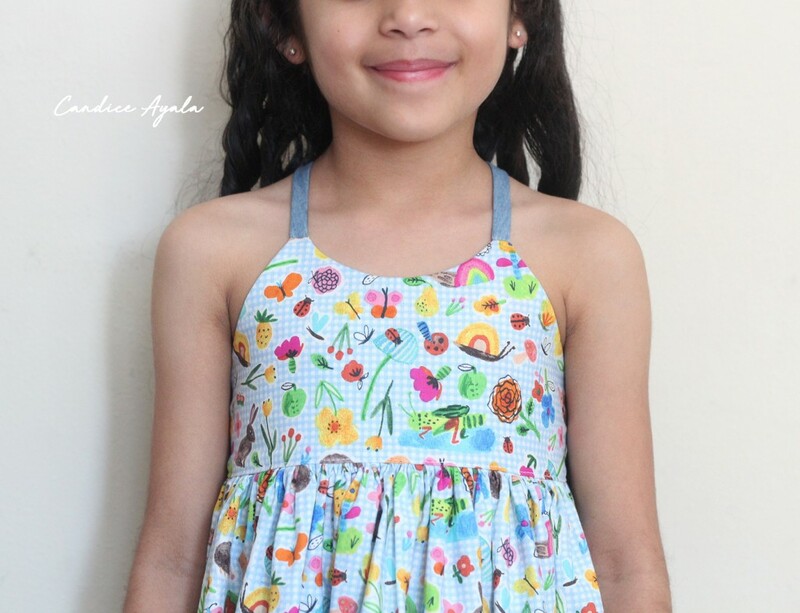 You can find Callies Tie Back Top, Dress and Maxi PDF Pattern HERE. Would you make this pattern again? YES! It’s perfect for summer. Anything you would do differently? Aside from using an invisible zipper because its my preferred closure, no. And that’s it for todays post guys! Thank you so much for stopping by! Wishing you a productive week!